Individually calibrated weights made of high quality stainless steel. Both sets come with a sturdy plastic storage block. 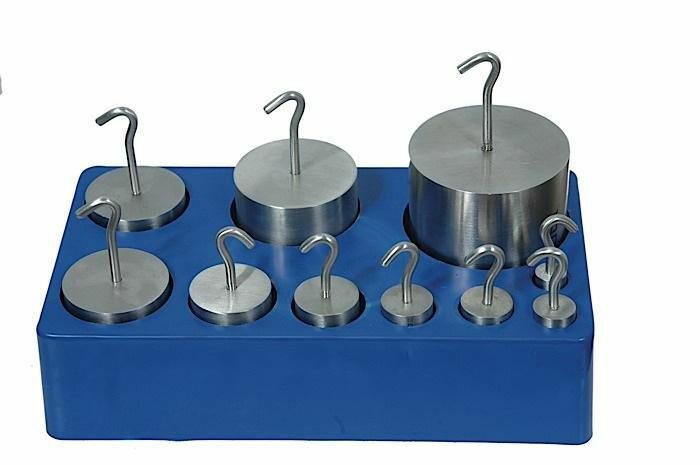 Set of 9 includes one each of 5 g, 10 g, 50 g, 100 g, and 500 g, plus two each of 20 g and 200 g weights. Set of 10 includes all of the above, plus one each 1000 g weight.